Miles Jennings and Alfredo Amato produced one of the most popular and surprising results of the weekend with a simply sensational win in race 2 of the Mediterranean Grand Prix, which started to turn dramatically on its head as early as lap 8 of 15. The Anglo-Italian duo were running strongly in fourth place ahead of Poliform and were then elevated to third when Luca Formilli Fendi and Giovanni Carpitella’s race ended on lap 8 with a broken torque sensor. Two laps later race leader Victory slowed to a crawl after breaking a propeller and were passed by Zabo-Isiklar with LFF8 now up into second place. 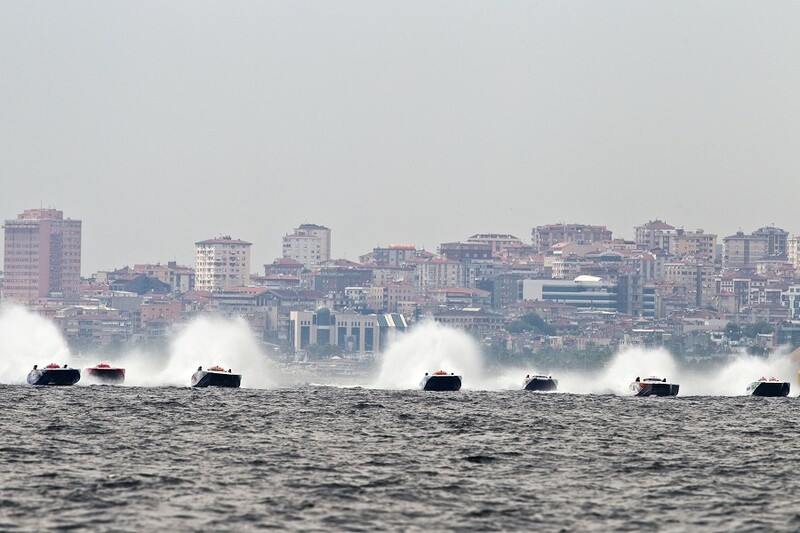 Victory’s Arif Al Zaffain and Mohammed Al Marri banished all memories of yesterday’s early exit in race 1 and produced an emphatic start-to-finish win in race 2 of the Isiklar Turkish Grand Prix. The Dubai pairing led from the flag and were pulling away from race 1 winners’ HUB Team Australia and LFFendi10, when the race was red-flagged after Team Abu Dhabi’s Faleh Al Mansoori and Rashed Al Tayer hooked and turned over on lap 2, forcing the second restart of the weekend – both drivers emerging from the upturned boat unhurt. 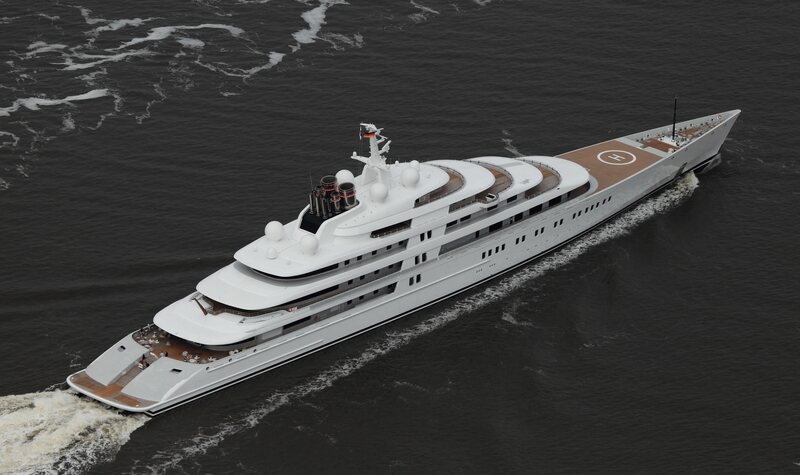 Its official, Mega-Yacht ‘Azzam’, built by German firm Lurssen has become the largest Mega-Yacht of them all and dwarfs Roman Abramovich‘s Mega-Yacht ‘Eclipse’ by some 57 feet. The newly-crowned world’s largest Mega-Yacht took the seas at a cost of £400million (€462m) and measuring a staggering 590ft long. 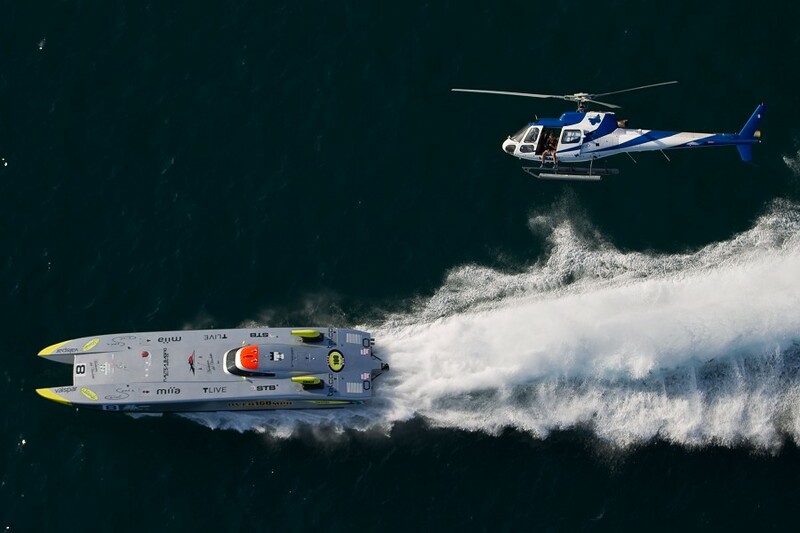 Azzam was officially unveiled in April, but was seen by ‘yachtspotters’ being tested on the North Sea at the weekend. 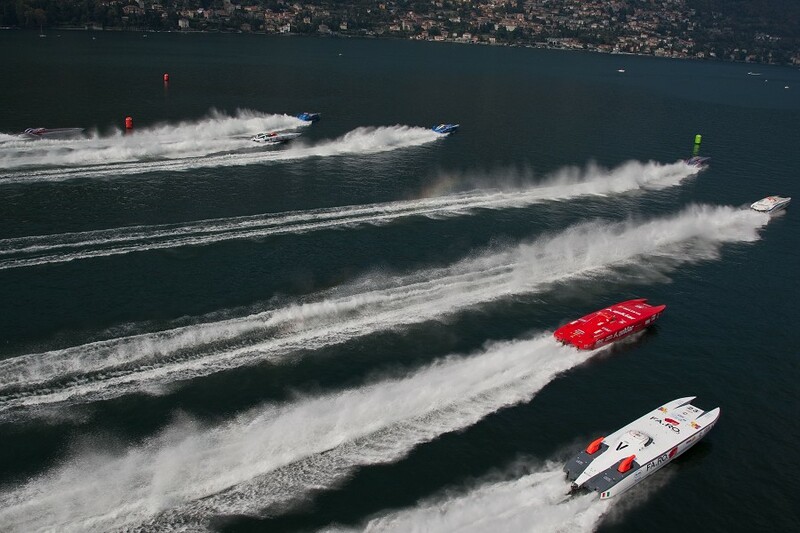 Spirit of Qatar’s Ali Al Neama and Matteo Nicolini produced a simply stunning performance in this afternoon’s thriller on Lake Como to win race 2 of the Italian Grand Prix.Victory’s Arif Al Zafeen and Mohammed Al Marri just failed to pull off what would have been a remarkable win-double finishing second, with Sheikh Hassan bin Jabor Al-Thani and Steve Curtis making it a double podium celebration for the Qatari Team finishing third in Spirit of Qatar 96. 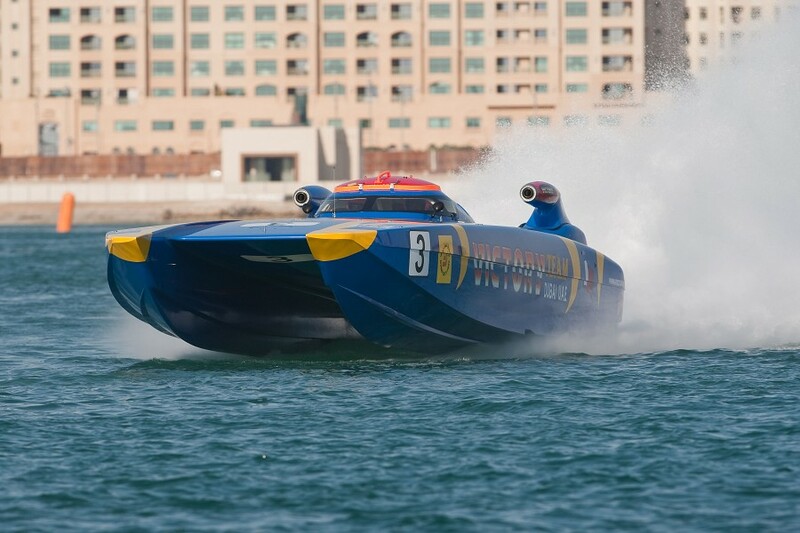 Arif Al Zafeen and Mohammed Al Marri produced another faultless display to win race 2 of the Skydive Dubai & Dubai Duty Free Grand Prix and clinch the 2011 UIM Class 1 World Powerboat Championship. In what has been a difficult week for the Dubai team the scratch pairing of Al Zafeen and Al Marri, racing together for the first time, responded in the best way possible to complete a hat-trick of wins in their home Grand Prix, their double race win clinching an eleventh World title for Victory Team. 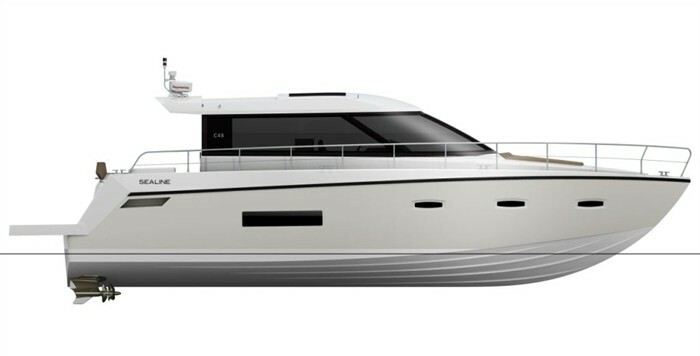 Sealine is to launch their new C48 Coupe at the Southampton Boat Show. 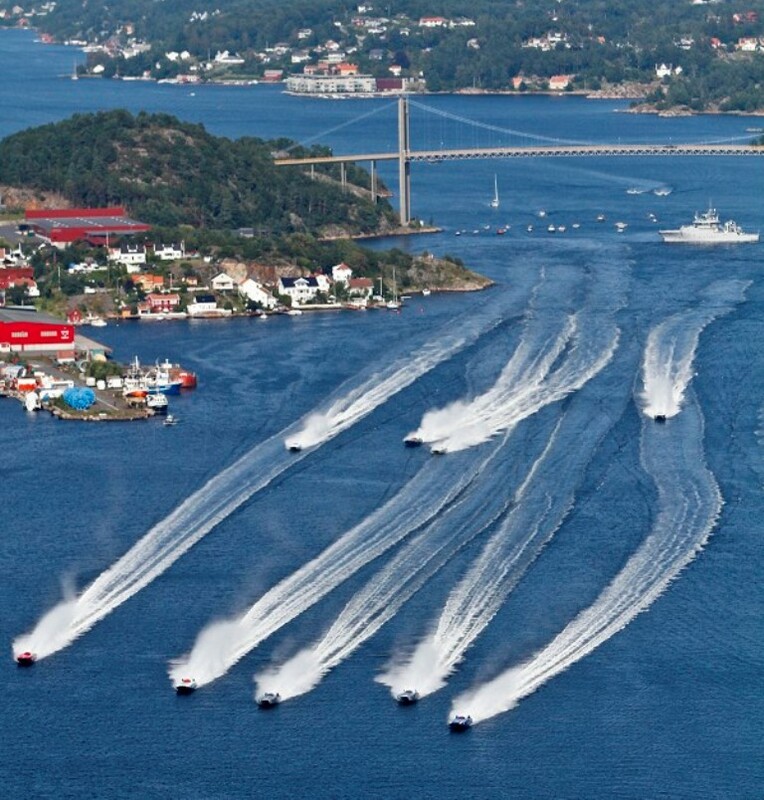 This ground breaking modern design is the ultimate solution to “turn-key” boating. There are no covers to undo or canopies to unfurl. 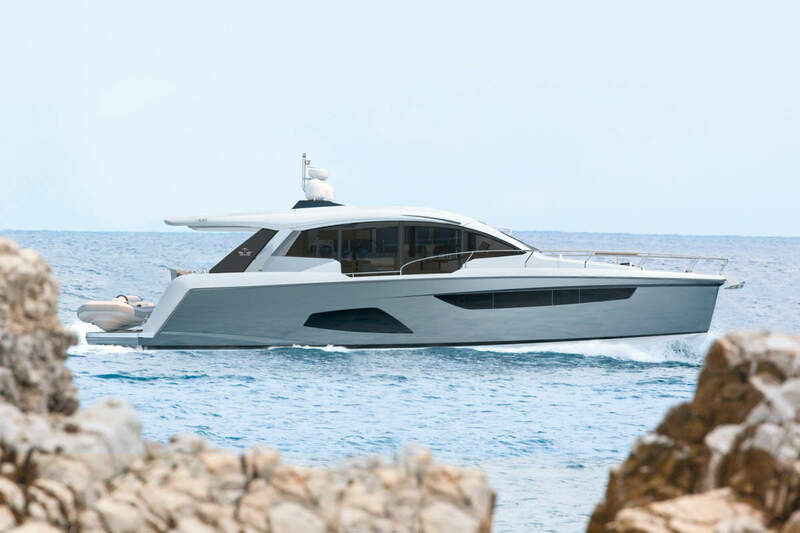 The helm and saloon are fully enclosed by a signature wrap around screen with an electric sunroof providing full or partial access to the elements. Sliding patio doors link the cockpit to the saloon, creating the largest single social space for a boat of this size. A modern IPS drive system offers exceptional fuel efficiency and manoeuvrability, as well as enabling a full beam, full height master cabin. The C48 is a true cruising boat that allows you to escape and explore in style. Sheikh Hassan bin Jabor Al-Thani celebrated his 50th race start and his first win in Class 1 alongside Steve Curtis with a superb flag-to-finish victory in race 1 of the BMW Norwegian Grand Prix.